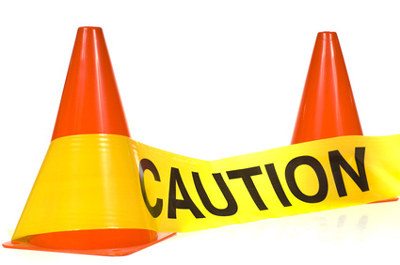 Construction accidents on job sites are common but are very preventable. Construction sites are filled with many safety hazards and are the cause of numerous serious injuries and even fatalities. Equipment, trucks, machinery and materials are intermixed with employees and can pose a dangerous threat to the workplace. There is also the possibility of falling debris, unsafe or uneven work services and challenging weather conditions. Even though construction sites can be dangerous, there are strategies that can be put in place at your workplace to reduce accidents and create a safer work environment. Employees need to be taught safety measures when it comes to each specific job site and what they will be working on. Hazards change daily even when the project gets closer to completion. It is up to project managers and team leaders to make sure everyone on the job site is given correct instructions, is properly trained and is aware of changing regulations. By holding daily safety meetings it ensures that your employees are on the same page. The meetings should also reiterate health and safety standards and risk assessment. Late work hours in dark environments can create a greater risk for accidents. If it is entirely possible, minimize the amount of night work or limit it to a low risk area of the job site. Common reasons why accidents increase at night include fatigue and reduced visibility to darkness since people are less alert the later it gets. This combination creates the potential for more accidents which can be avoided. Construction sites are known for unpredictable accidents and unforeseen safety hazards. Your employees need to be prepared and supplied with proper protection to be worn at all times when on a job site. Basic safety measures include wearing hardhats, eye protection, hearing protection and harnesses. No slip boots, heavy duty gloves and masks are standard safety apparel that must be worn at all job sites. High reflective fabric and vests should be worn by employees at all times. When you are made visible, wearing this gear will help drivers, equipment operators and other employees be noticed and kept out of the way from potential danger or being hit. Enforcing regular breaks not only help increase productivity but safety. Frequent breaks allow employees to recharge by resting and having something to eat or drink. This avoids fatigue and helps them stay alert and focused since many mistakes can happen due to exhaustion. Wires and high voltage areas should be marked and electricity should be turned off when it is not being used. Pylons, cones and ropes can be used as barriers and to prevent people from going into areas where there are dangerous hazards. Signs printed with the word DANGER should be posted around the job site so people are aware of a potential hazardous situation. Before starting the work day, employees should start with a warm up or calisthenics exercises to keep the body moving. Your employees need to be physically fit for the tasks at hand and if they are not, they might risk getting hurt on the job. This helps your employees develop quicker reflexes, grow stronger and keep their minds sharp. One of the main causes of fatigue is being in the direct sunlight. When you are out in the sun, exposed skin should be covered. Wear sunglasses, long sleeved shirts, hard hats with a wide brim and sunscreen to protect your skin from damage. For people who drive and operate machinery, vehicle warning strobes should be used to alert approaching traffic. Drivers should slow down to avoid backing up whenever possible. If they need to back up, a spotter should be assigned to direct them into their space. Barriers such as pylons, barrels and safety spotters should be used with vehicles and machinery to avoid accidents. Water and electrolyte replacements help hydrate workers, reduce fatigue and increase concentration rather than when you drink carbonated sodas and energy drinks. Grease-free food like salads, fruit and vegetable trays and light sandwiches should be consumed rather than carb heavy and high fat food. This prevents drowsiness after meals and helps your employees remain energized and alert. Workplace and worker safety is a priority on every site, every day. Establish a culture of “safety-first” and everyone company-wide, will play a role in keeping your workplace safe.